By default in blogger template code we cannot integrate Google Adsense Script becouse it is not work fine. To add google adsense ad unit in blogger template code you need to converter google adsense code. Here is Google Adsense Code Converter Tool is available. First you should convert your Google Adsense ad unit code than you can put it anywhere in blogger template and will work fine with blogger. 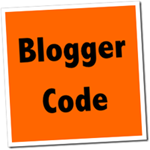 Now You Can Copy Paste The Same Code Anywhere in Your Blogger Template.